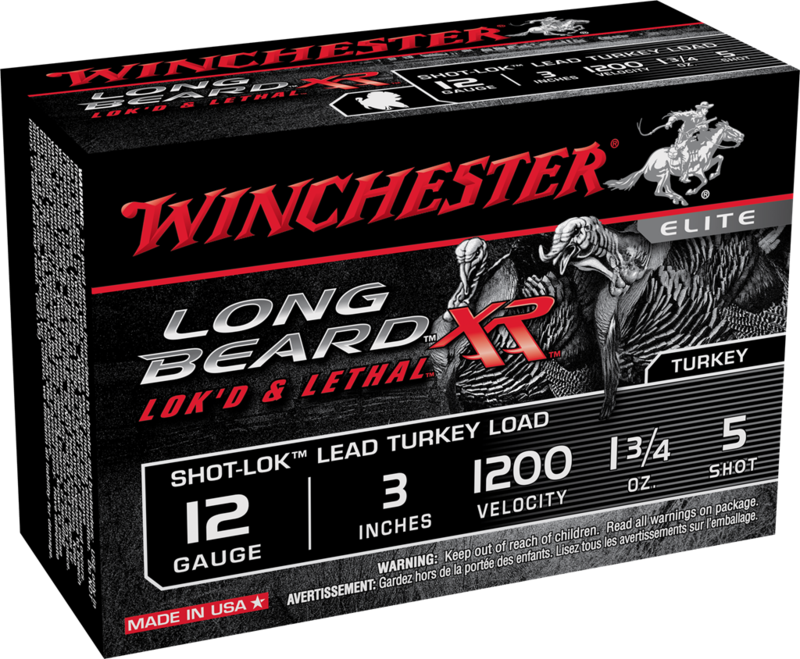 Forty yards has long been the standard by which all turkey loads were measured. No more. 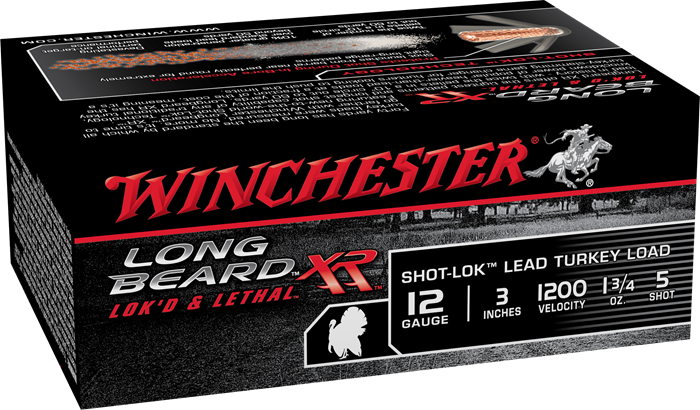 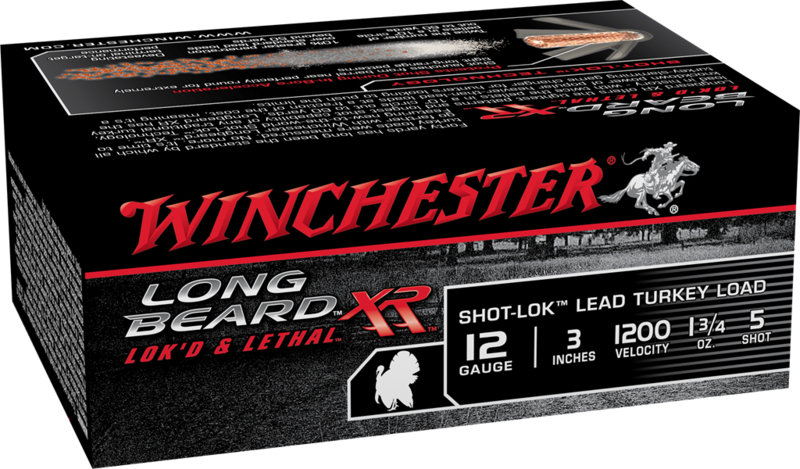 It's time to go farther with Winchester Longbeard XR. 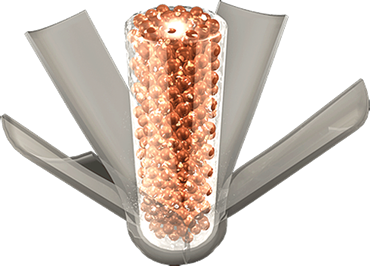 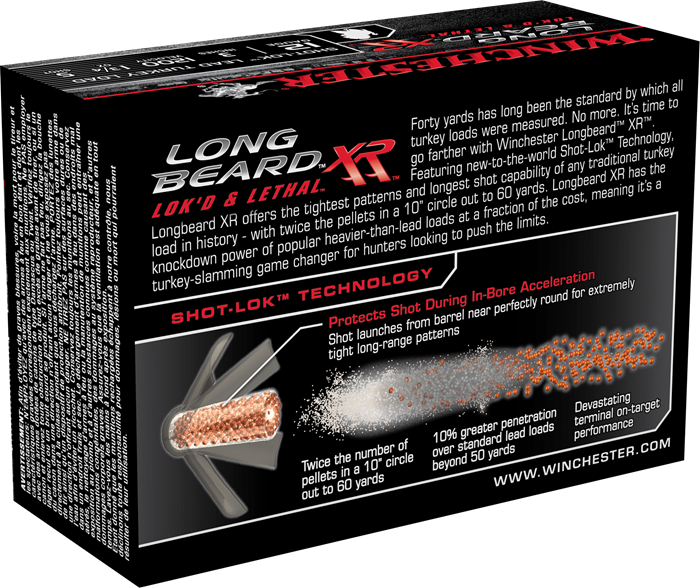 Featuring new-to-the-world Shot-Lok Technology. Longbeard XR offers the tightest patterns and longest shot capability of any traditional turkey load in history - with twice the pellets in a 10" circle out to 60 yards. Longbeard XR has the knockdown power of popular heavier-than-lead loads at a fraction of the cost, meaning it's a turkey-slamming game changer for hunters looking to push the limits.